So rather than answering the questions you gave the equivalent of "the sky is falling". "There's too many of us"
Perhaps the ideal global average termperature is +4C over current temps? "Post hoc ergo propter hoc" is NOT a scientific theory,. Measuring a 4 billion year old activity across a few years is like watching an ant take a step and predicting what direction it will be go for the next month. AGW meets exactly zero criteria for a Scientific Theory (ability to generate revenue for researchers is NOT a criterion). If it was science there would be one model and it would be predictive. 1. 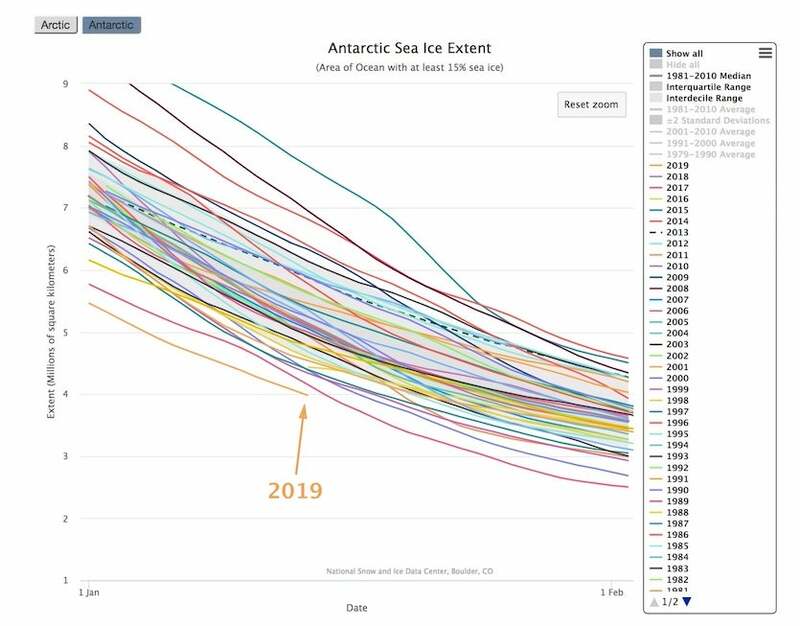 How is the 1979-2019 sea ice extent representative of sea ice extent in decades or centuries past? 2. How is a 30 year period indicative of long term trends going forward decades or centuries in the future? is a pretty big departure from the past. The heat is new. The oceans are brimming with it and things are starting to die. Seabird populations are crashing all around the globe. Fish runs are in trouble. Fish are dying for lack of thiamine. We're pumping our aquifers dry in China, India, the Middle East and the Great Plains. It's not complicated. We've broken the environment we depend on to live. The seas are choking on heat and carbon. Our waste. There's too many of us and we're recklessly living far beyond our means. We don't seem to be able to stop ourselves, but we will stop, probably a lot sooner than most people can imagine. 6. So rather than answering the questions you gave the equivalent of "the sky is falling". Perhaps we should sacrifice some babies and virgins to Baal to prevent the end of the world? 8. "There's too many of us"
You have complete control over helping to solve that problem. Ask Warthog to ask the trees if they think carbon is pollution. "The heat is new. The oceans are brimming with it and things are starting to die. Seabird populations are crashing all around the globe. Fish runs are in trouble. Fish are dying for lack of thiamine." BTW looks pretty good in the Arctic. 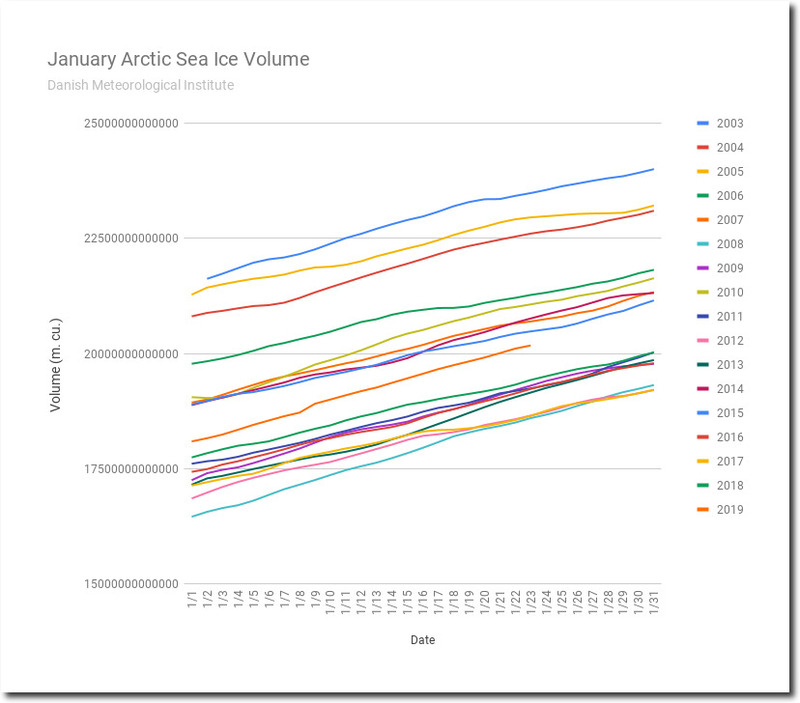 How much Antarctic sea ice SHOULD there be? Maybe we have too much? 7. Perhaps the ideal global average termperature is +4C over current temps? How do we know this isn't nature's way of correcting things and weeding out inferior species? You know evolution and all that.